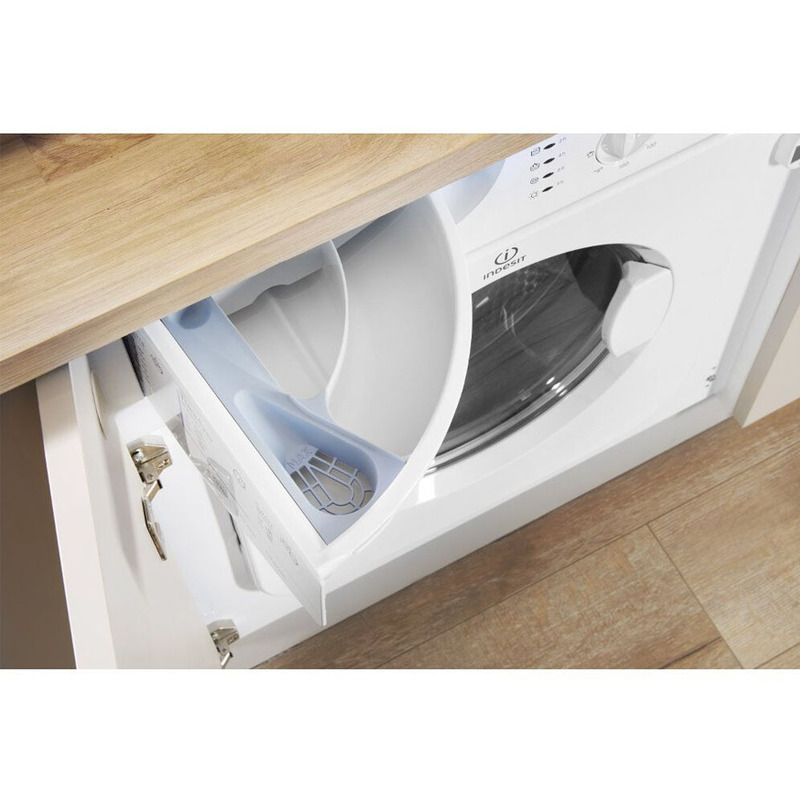 This Indesit Integrated Washer Dryer will fit seamlessly into most kitchens and will provide you with good sized wash capacity of 6kg. 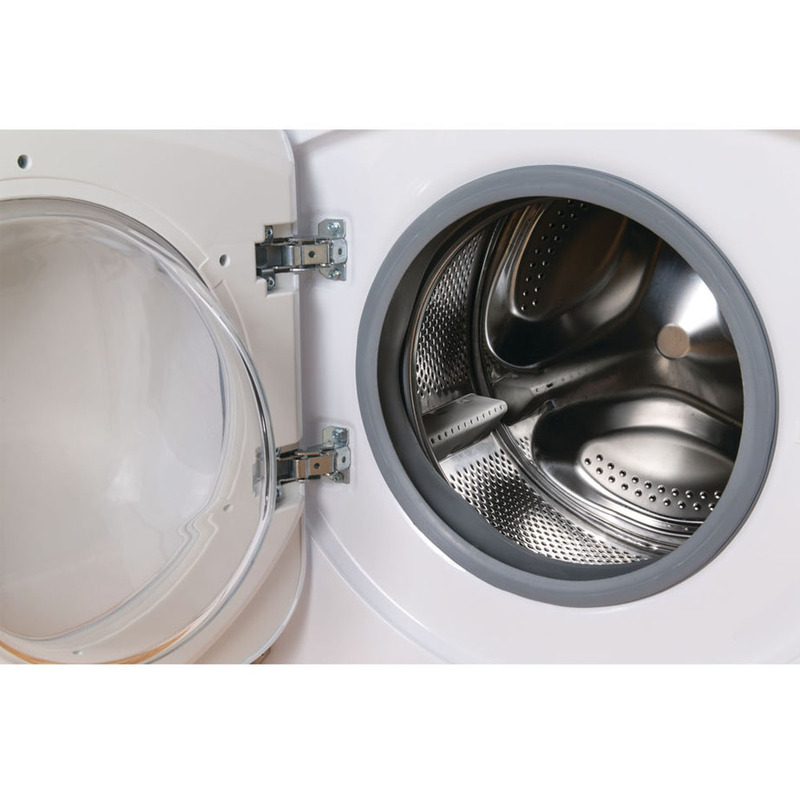 This Indesit will comfortably wash around 30 T-shirts per load. 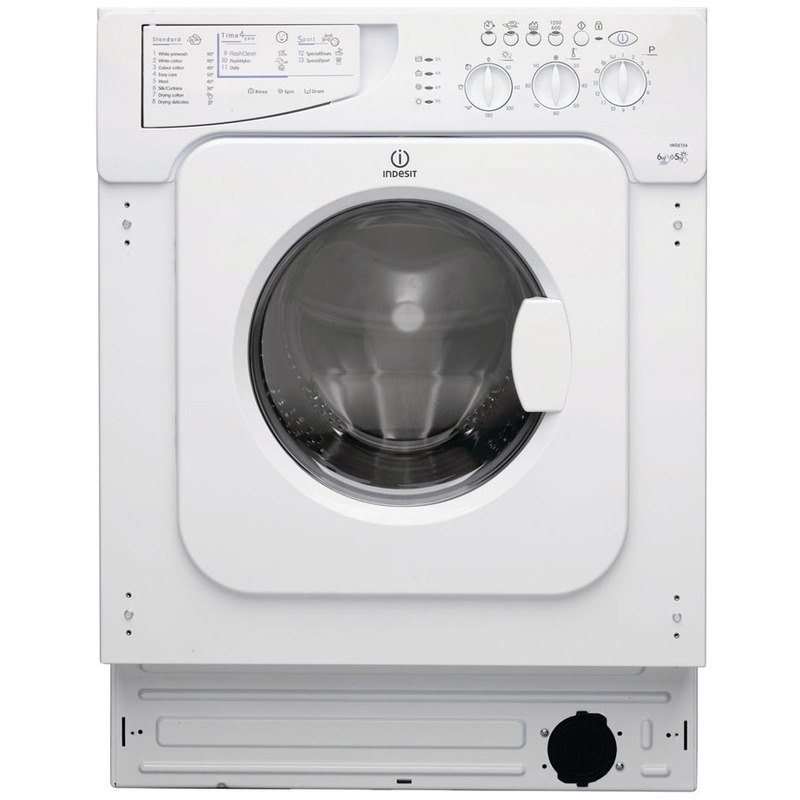 Also boasting a 5kg drying capacity this model is an ideal washer dryer for medium sized families. 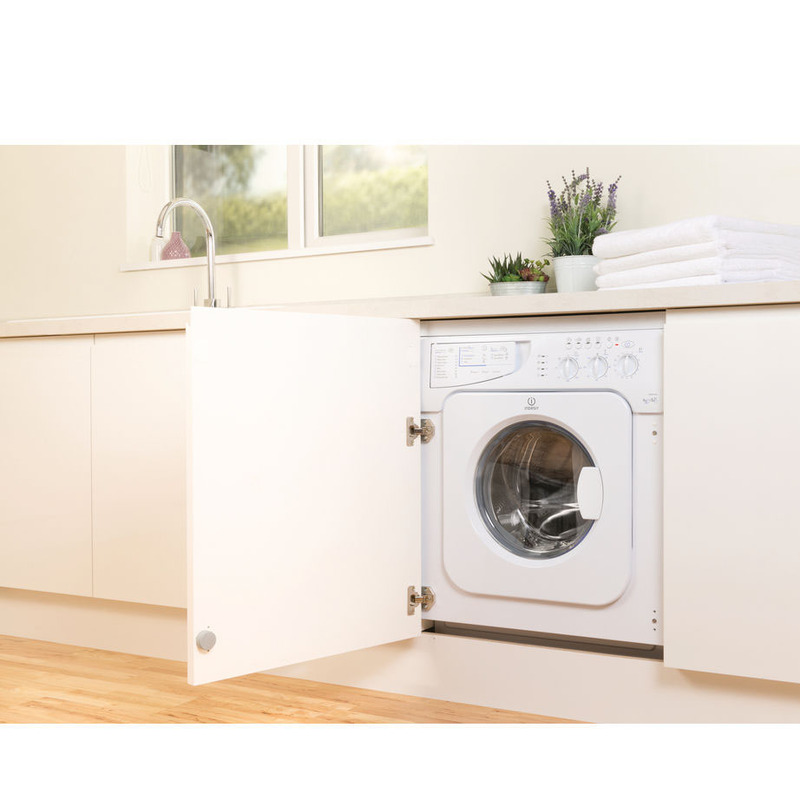 The complete solution to laundry, This Indesit EcoTime Washer Dryer delivers 6kg of washing capacity with 5kg for drying, with a 1200rpm spin and programs to get beautiful results whilst saving you time, money and effort this machine is perfect for most needs. 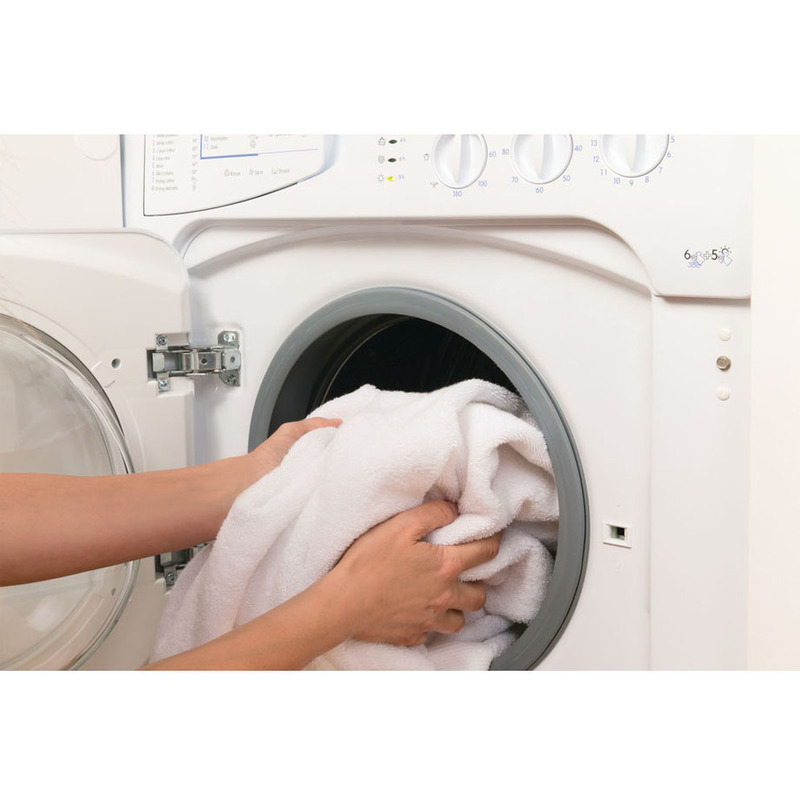 With Sensor Drying technology, each load gets a tailored cycle to its saturation which is just another way that the Indesit EcoTime Tumble Dryer helps to save money and energy. 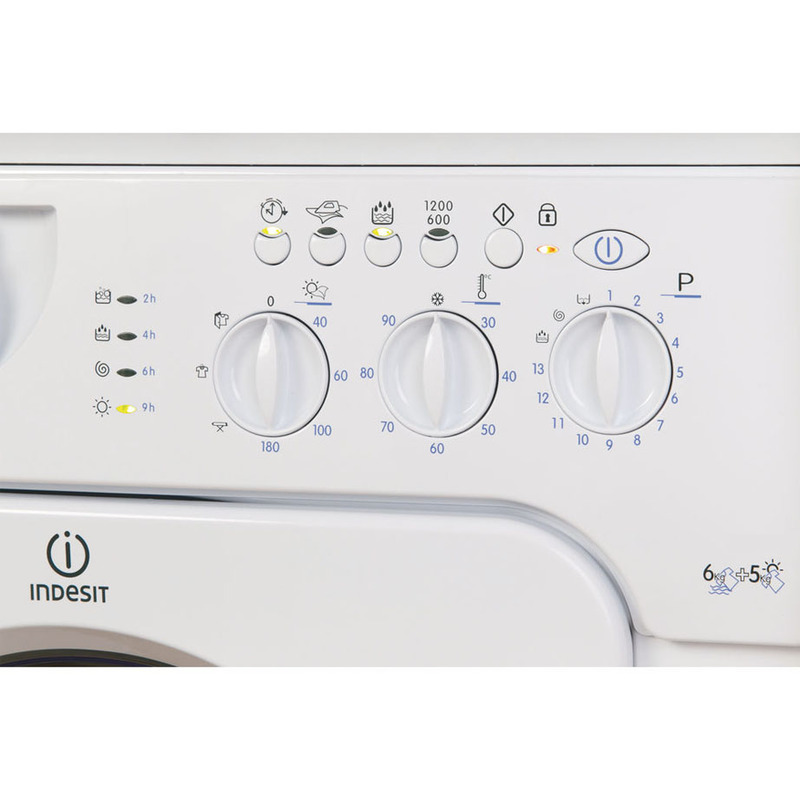 Easily controllable through the LED display, with a Delay Timer allowing you to choose the cycle start time to best suit your schedule, the Indesit Washer Dryer helps keep your day on track while giving your beautifully fresh clothes.